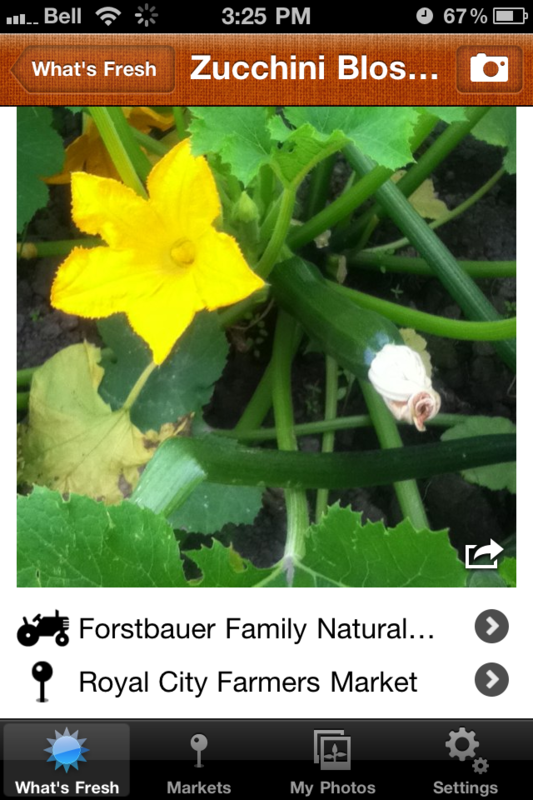 We just noticed this…Forstbauer Family Natural Food Farm is using the Foodtree app to let their customers know what’s about to be available at a local farmers market tonight…HOW GREAT IS THAT? Check out Forstbauer’s profile and photo stream here. The stream’s latest are photos of food recently harvested, taken by the farm themselves, and available tonight at the Royal City Farmers Market in New Westminster, just outside of Vancouver. Talk about fresh, real time food insights. This is a truly innovative way for communities to see fresh food nearby, where they go to buy it, and who it’s made by. If you’re reading this post and you’re near that market, why not head down and grab some Zuccinni Blossoms or Strawberries? Congratulation Foodtree Blog ! It is working and Farmers are coming on too, we like it.